With the multi-million dollar make over project, the defunct Olive Tree at Intercontinental Singapore is now replaced with Ash & Elm, a vibrant European dining restaurant. The new restaurant also features three exciting culinary theatres - a Charcuterie & Cheese Room, Wood-Fried Oven and an Open-Grill Kitchen. Warm Complimentary Bread is served upon settling down for dinner. I understand the wood-fried oven is not only used to cook the pizza but making the bread too. 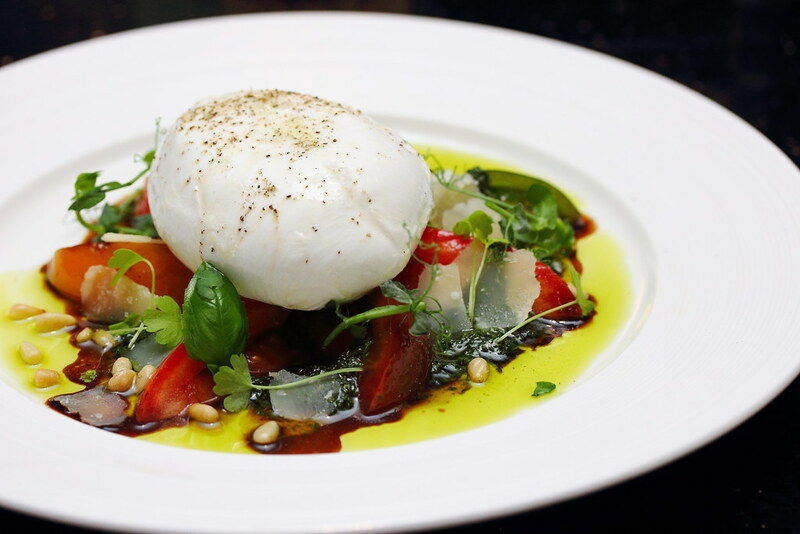 The Burratina Cheese with Heirloom Tomatoes ($19/$26) is a classic combination. The creamy burratina cheese with the sweet heirloom tomatoes. homemade pesto and basil is a light and pleasant kick start to the dinner. The Ash & Elm Platter best showcases the specialty from the Charcuterie room. 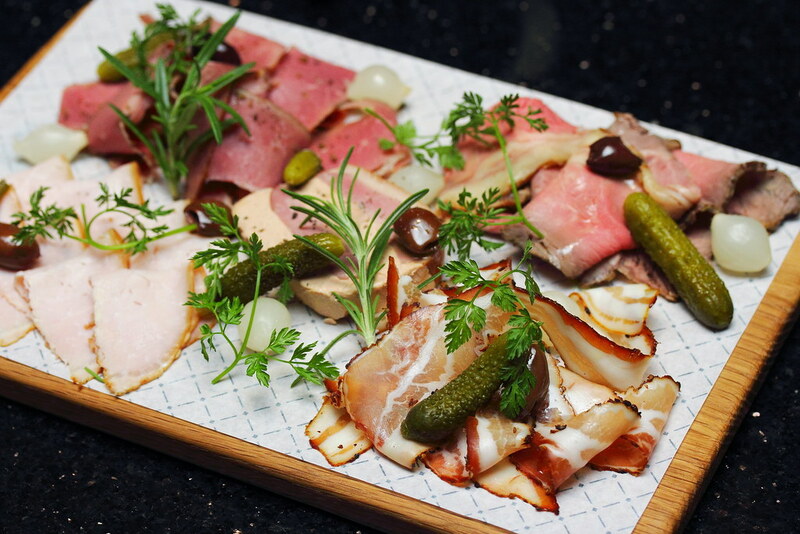 On the platter, there are House-cured Beef Pastrami, House-smoked Pork Loin, Air-Dried Pork Belly, Cold-roasted Beef and Presse de Foie Gras with Smoked Duck. Everything on the plate is so good that it was hard for me to pick a favourite. That is exactly why you should order this to try it for yourself. 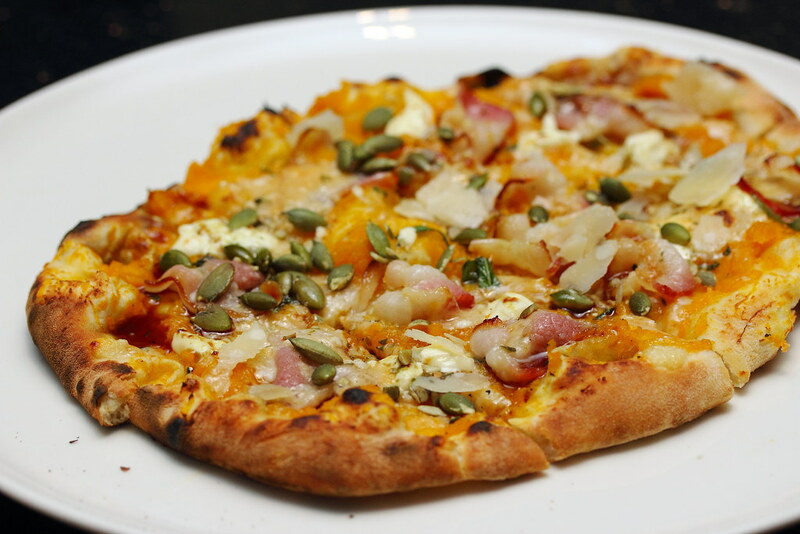 A good change from the usual pizza is the Pumpkin and Bacon Flat Bread. Pumpkin is used to replace the usual tomato base. Other toppings include bacon, nutmeg, sage, mascarpone and Parmigiano Reggiano. 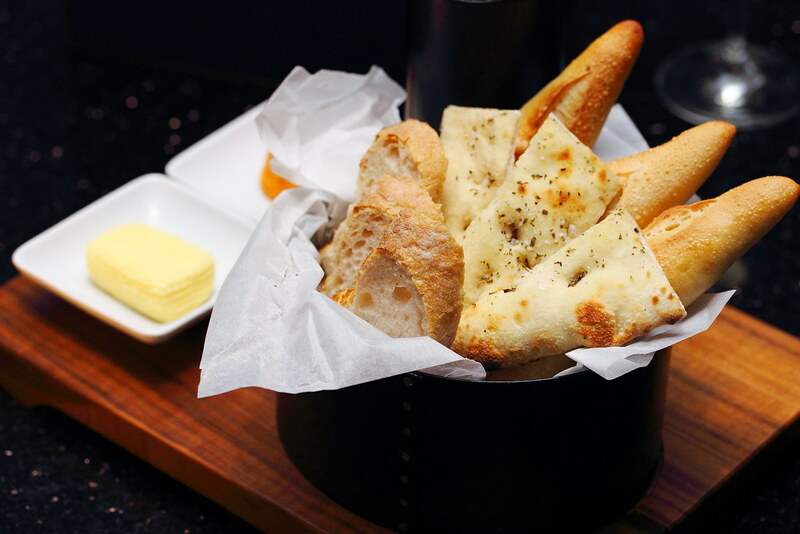 Each bite of the flat bread comes with a crispy exterior crust and delectable fluffy interior. On the sharing plate menu, there is the Beef Tasting Platter ($108) that is good to serve two pax. 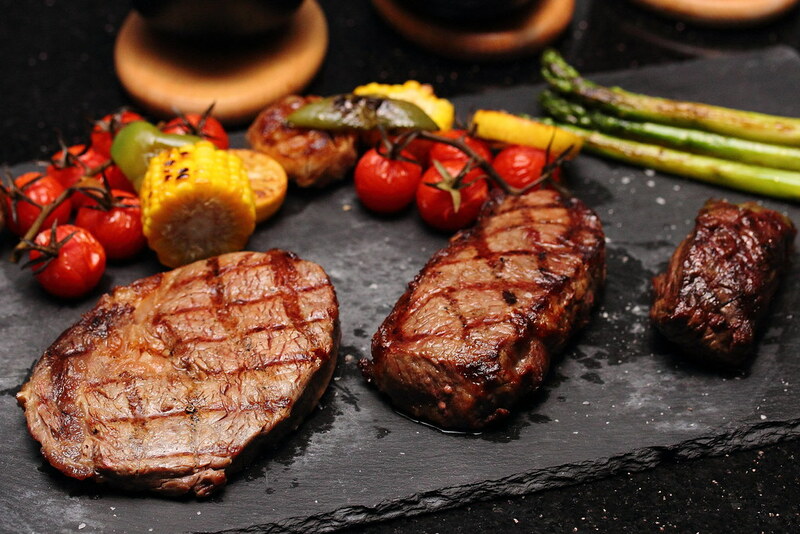 Diners will get to share Australian Rib-Eye Steak, USDA New York Striploin and French Bavette dAloyau. Accompanied with grilled corns, tomatoes and asparagus, this is a feast that is fit for the king. The beef tasting platter also comes with bearnaise, peppercorn and natural jus. 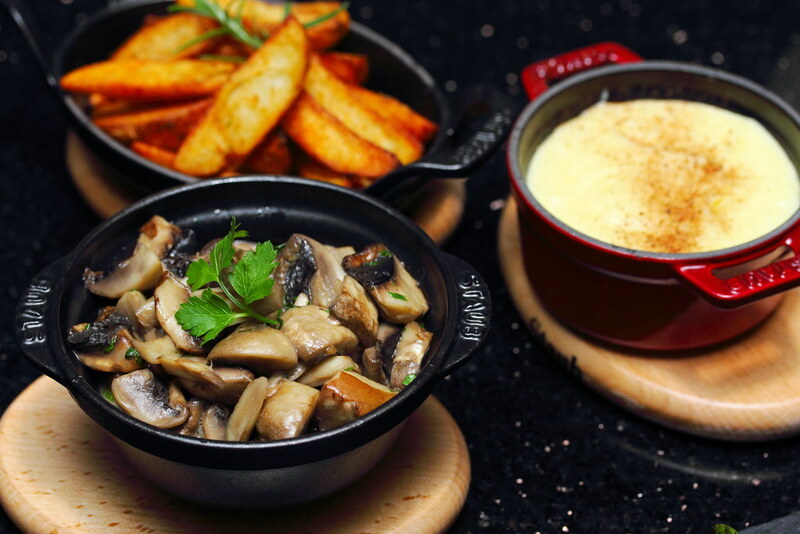 To go with steaks, we ordered the Sauteed Mixed Mushrooms, Grandma's Mashed Potatoes and Hand-cut Baked Roseval Potato Wedges with Paprika-Rosemary. Moving on to the mains, we started with the French Free-Range Yellow Chicken Supreme ($29). 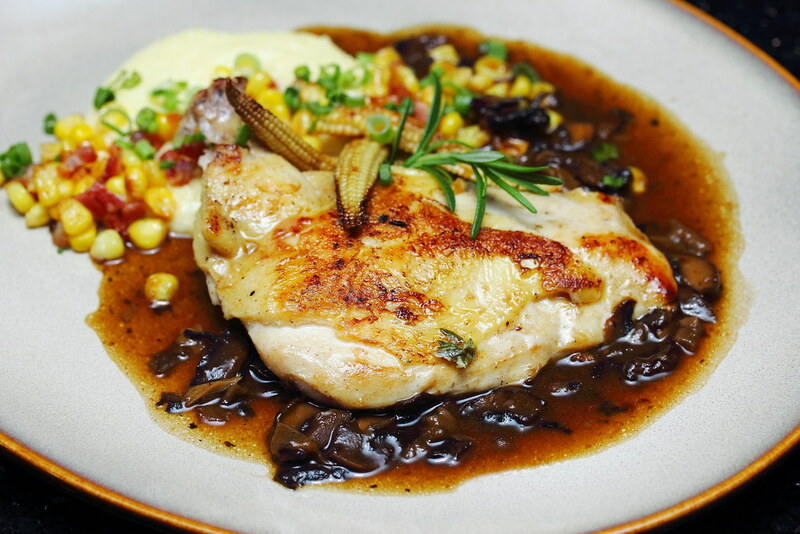 The 30 day corn-fed chicken from Savel, France is cooked to tender with thyme and rosemary, and dressed in a bacon and mushroom sauce. The poultry has a hint of sweetness in the meat served with creamy polenta and sweet corn on the side. At Ash & Elm, you probably would not get tired of their meat dishes. The Slow Grilled Spanish Iberico Pork Chop ($39) is another excellent dish on the menu. 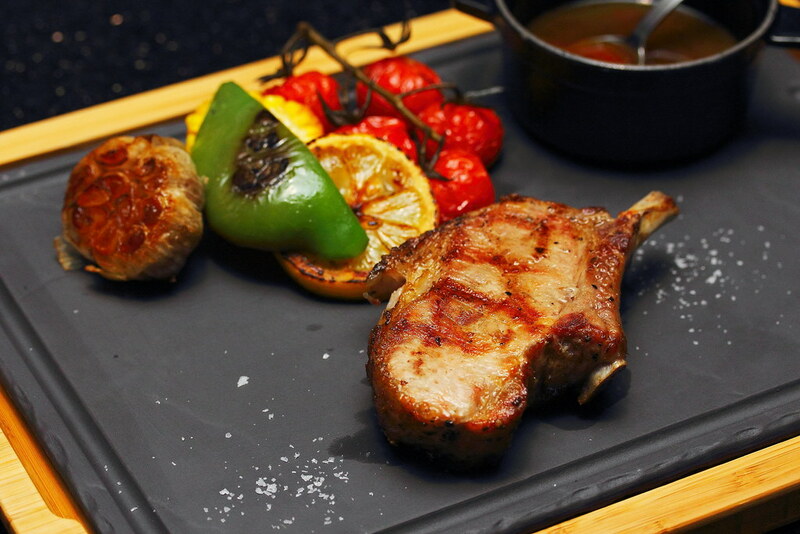 The succulent and flavourful piece of iberico pork will satisfy every carnivorous appetite. 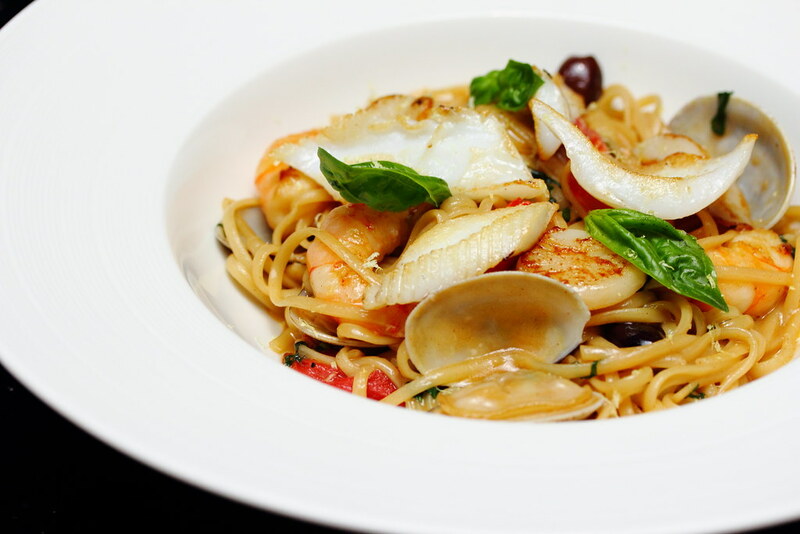 Looks can be deceiving in the Seafood Linguini ($31). It may look kind of plain but it actually is packed with beautiful seafood flavour from the crustacean sauce. Filled to the brim with scallops, shrimps, squids, clams and topped with basil and olives, this is a plate of slurping goodness. Moving on to the dessert, Ash & Elm is another class of itself. I would gladly visit the restaurant just for the desserts only. 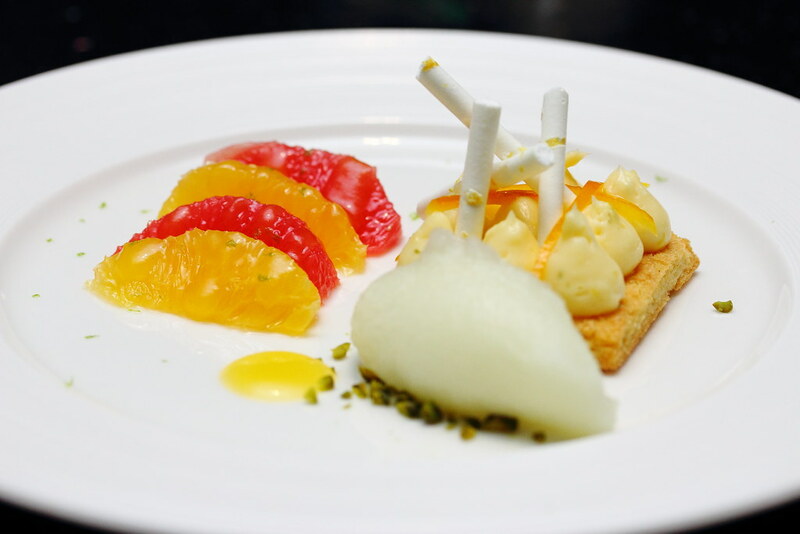 After all the grilled meat and poultry, the Yuzu Citrus Combination ($14) is a perfect dessert to refresh the palate. The lemon sable breton, yuzu curd, mandarin orange reduction and yuzu sorbet provides the tartness, freshen up the taste buds. Another pleasant surprise is the Peach Melba (14). served in a deconstructed way. 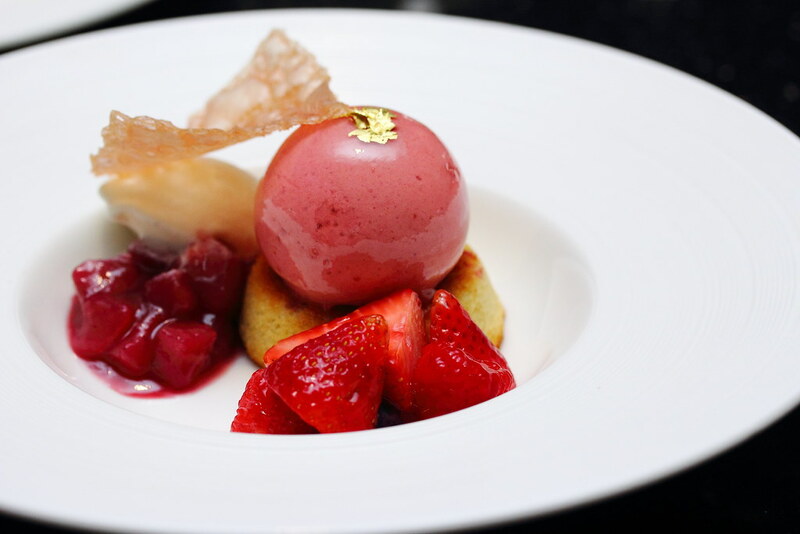 The ruby peach parfait, almond strawberry genoa bread and strawberry tuile will delight those with an eye for dessert. 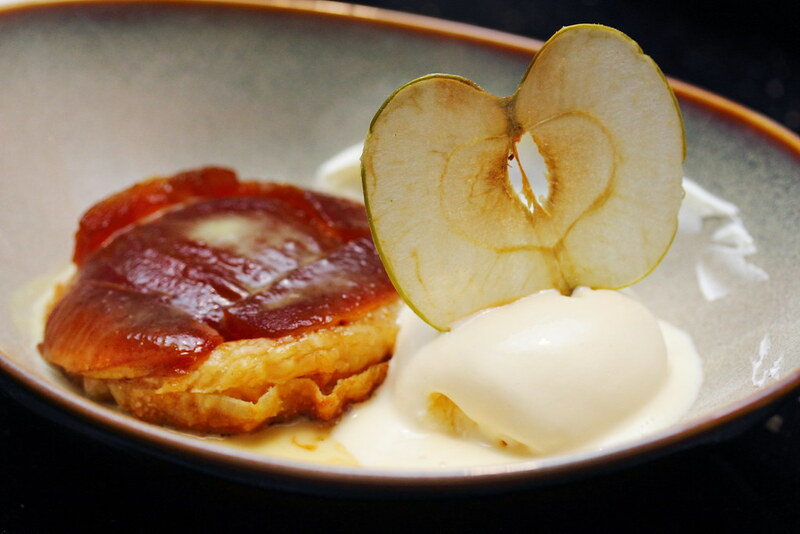 For those that prefers a more tradition dessert, the Apple Tatin ($14) will be the choice. A warm and comforting dessert that comes with the creme chantilly, granny smith chips and calvados ice cream. For me the highlight of the night from the dessert menu has to be the Chocolate Hazelnut Pizza ($24). 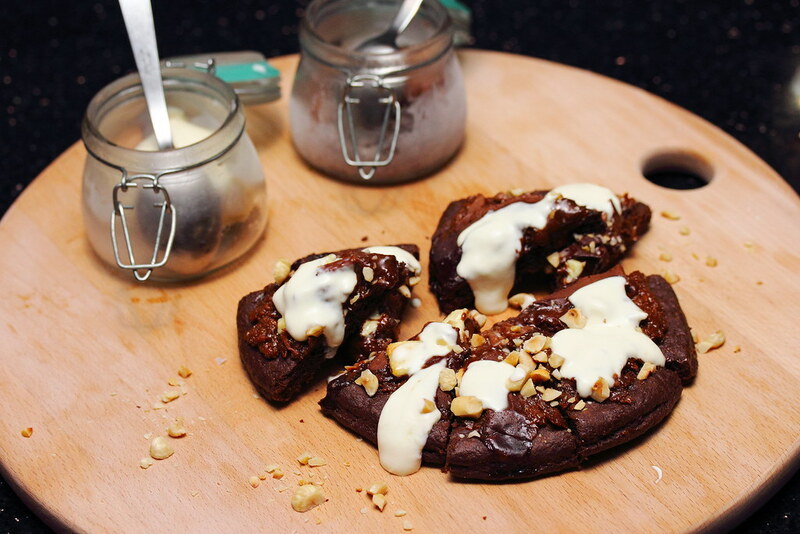 The chocolate brioche, with three type of chocolate (dark, milk and white), praline and marshmallows, is a unique sweet pizza, pack with chocolate richness. Served on the side in a jar is the cocoa granite and white chocolate ice cream, which helps to tone down the richness of the chocolate brioche. Overall I have a very enjoyable experience at Ash & Elm. The beautiful restaurant together with its excellent food and desserts, is one of those places which I will recommend to my friend and even go back myself. Hey, I just noticed you misspelled the hotel name. You have a great food blog that I refer to regularly.